CHARLESTON, W.VA., Sept. 25, 2017 – On Sunday, Donate Life West Virginia and the Center for Organ Recovery & Education (CORE) honored the more than 200 heroes who gave the selfless gift of life during A Special Place ceremony, held at the Clay Center in Charleston, West Virginia. For the sixth year in a row, the event brought together the families of organ, tissue and cornea donors who have saved or improved the lives of transplant patients in the past year in West Virginia. Among the guest speakers at the event were Nancy Jividen of Eleanor, West Virginia, mother of Shane Jividen, who was an organ, tissue and cornea donor in 2013 following his death in an ATV accident at the age of 36. An avid outdoorsman, Mr. Jividen served as a volunteer firefighter in his community for 20 years prior to his death. John Shuman, a native of Cross Lanes, West Virginia, Mr. Jividen’s cornea recipient, also shared his emotional story about receiving the gift of sight thanks to Mr. Jividen’s decision to become a cornea donor. By chance, Ms. Jividen and Mr. Shuman are co-workers at a Cross Lanes retail store and have been since before Mr. Jividen’s death. Attendees also heard from Dunbar, West Virginia, resident Vicky Keene, who, because of advanced chronic obstructive pulmonary disease (COPD), is waiting for a double lung transplant. 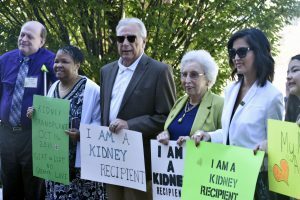 Ms. Keene, a wife, mother and grandmother, said that although she fears her transplant won’t come in time, the generosity of the donors and their families at the ceremony gives her hope. 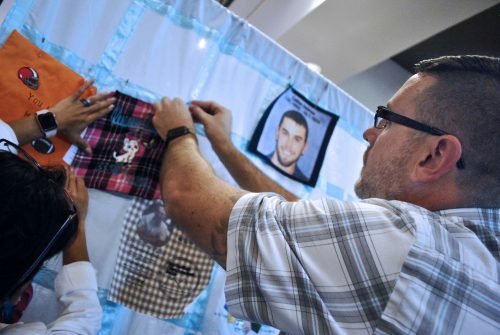 Prior to the ceremony, family members pinned quilt squares in remembrance of their loved ones. CORE also hosted a butterfly release at the end of the event in honor of the 2016 donors. In 2016, 49 organ donors, 240 tissue donors and 181 cornea donors from across the state of West Virginia gave life to more than 150 people, sight to more than 30 people, and healed as many as 18,000 people, including burn victims and cancer survivors. Nearly 117,000 people nationwide are waiting for a life-saving transplant. Each donor can save up to eight lives through organ donation and improve the lives of nearly 75 people through cornea and tissue donation. For the sixth year in a row, A Special Place West Virginia brought together the families of organ, tissue and cornea donors who have saved or improved the lives of transplant patients in the past year in West Virginia.